← Nobel prize winners, who needs them? People will never tire of hearing how smart that Einstein fellow was. And following logically from that, apparently, is the truism that people will never tire of hearing about Einstein’s brain. This organ is so fascinating that it has it’s own wikipedia page full of information gleaned by its examination after it was stolen from the dear genius’ head (before being lost and then found again). And every so often a new study will exclaim about the extravagant protrusion arising from one portion of it or another leading to a series of silly articles in the popular press claiming the secret to Einstein’s smarts. 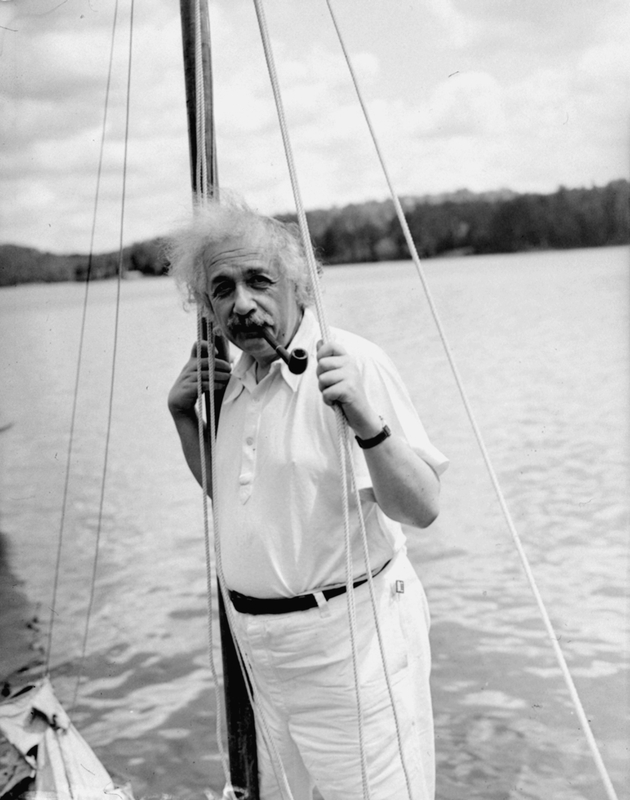 We are now forced to wonder not just how a 76-year old Einstein’s brain was different from his youthful 20-year old self but also why we should be giving these differences credit for his intelligence rather than for his, say, keen ability at sailing. Did his engorged motor cortex really make him so smart? The big problem here is the signal-to-noise. The thing about every person having a different brain is that every person will have something unique about their brain. Ascribing a single salient characteristic about a person, especially as an audience to a historical figure, to what is non-average about their brain is absurd. Einstein was more than just a physics-solving machine and the size of any part of his brain may have played very little role in his intelligence (or it may have: who knows). And all this is neglecting the fact that what made him so special may be nothing at all about the hardware of his brain instead of the software of his mind (so to speak). The truth is, we will never know what was special about Einstein by studying pictures of his brain and I can think of little that it will tell us beyond how easy it is to get a popular press article written about anything to do with Einstein. Instead, read about what psychology tells us about learning and motivation. Read what neuroscience tells us about the same. They have lots to say; the brain of Einstein does not, and never will. Update – As pointed out to me by Alice Proverbio, Einstein was also a violinist and musicians are known to have a thicker corpus callosum, something never mentioned in the paper… Just highlighting how silly it is to pluck one aspect of a person (intelligence) and project onto it whatever oddities you find! I agree that looking at pictures of this man’s brain is absurd. Most human brain’s will have a temporal lobe, frontal lobe, corpus collasum. I also agree do not agree that it is the structure of the brain that made this man so intelligent but rather his “mind” and how he was able to come to conclusions and his imagination. I feel that is is way beyond us on measuring a person’s thoughts. Especially one who is dead just like Einstein. The fact of the matter is, starting from birth there is minute significant difference between one’s healthy brain and another’s from a biological standpoint. It is how you use it that counts; like the old saying goes, “if you don’t use it you lose it.” Albert Einstein’s marvelous achievements cannot be directly attributed solely to his brain, but rather his hard work and efforts. Our brains are more than just processors of information. As a vital organ for our survival, it’s designed to adapt to its environment and evolve. The human brain has this phenomenal function called neuroplasticity. Specifically structural plasticity is the brain’s ability to literally change its physical structure in response to learning, active practice, or eternal stimulation. Einstein literally trained his brain to be extraordinary in the fields of math and science. He did so via means of abstract thinking and vigorous practice thus leaning. Were there any observable physical differences in Einstein’s brain than that of an average man his age during the 20th century? Perhaps there were slight physical differences however, biologically no. Could this be due to the fact that he was arguably the world’s greatest theorist and a musician in his spare time? Sure, we all have the capacity inside to think as Einstein did given the same opportunities. It was not any god-given gift or stroke of luck as to why his brain was so great; only a normal brain function called structural plasticity. Einstein was a man who sat at home all day just imaging how the universe works that’s how he came up with most of his theories for example, the theory of relativity was thought of while he stayed in his house for weeks just sitting in his favorite chair smoking a pipe. Like it said in the article every brain is unique maybe he had a bigger frontal and occipital lobe. This might have helped him with visually understanding how the universe works better than others would. I think experience and knowledge that he gained through his life is what helped him understand the universe or he just had a really great imagination. Simply looking at this man’s brain to judge the intelligence is pretty insane. Everybody’s brain is going to have structural differences (i.e. have different shape, size, etc.) as compared to somebody else’s brain. Everybody has a frontal lobe, temporal lobe, corpus callosum, etc. Ultimately, expanding your neural pathways in your brain are going to have a greater impact on intelligence than simply the size of a part of the brain. The cerebral cortex of a person is mostly for learning and intelligence and this is what should really be looked at. So ultimately, looking simply at the size of the different parts of the brain will have no effect and his intelligence was indeed based on the internal neural connections of the brain. Reblogged this on Contrarian Gazette. I completely reject the idea that Einstein was as intelligent as people say, either he wasn’t intelligent or intelligence weighs far less than intuition and instinctive thinking. What i am saying is, what we have come to call intelligence has been viewed in a very messed up light, true intelligence is not logical or analytic. ‘intelligence’ cannot be influence or altered by opinion or experience, if it can, that just makes our creator a really stupid being, which he isn’t, he is like a German engineer on steroids and his creations are never faulty or flawed when it comes to thinking. logic on the other hand can be influenced or altered by experience or opinion. yes we may exhibit some really questionable ways of thinking with costly results but our innate ability to think is not to blame. what is to blame would be our accepting of opinion and logic, and allowing our brains to only rely on what we learn. i have no idea what i just wrote, it is just me trying to translate my heightened intuition. If you have an opinion and you decide to share it to us, assume it, please don’t end with an (it was all just a dream) kind of ending. Because at one point of reading your opinion we were opening are minds to your way of interpreting intelligence, but the ending just closed that door for us to take it in consideration.